Thousands of protesters formed a human chain around Japan's parliament Sunday in protest at the planned construction of a new US base on the southern island of Okinawa. Okinawa accounts for less than one percent of Japan's total land area but hosts about 75 percent of US military facilities in the country. 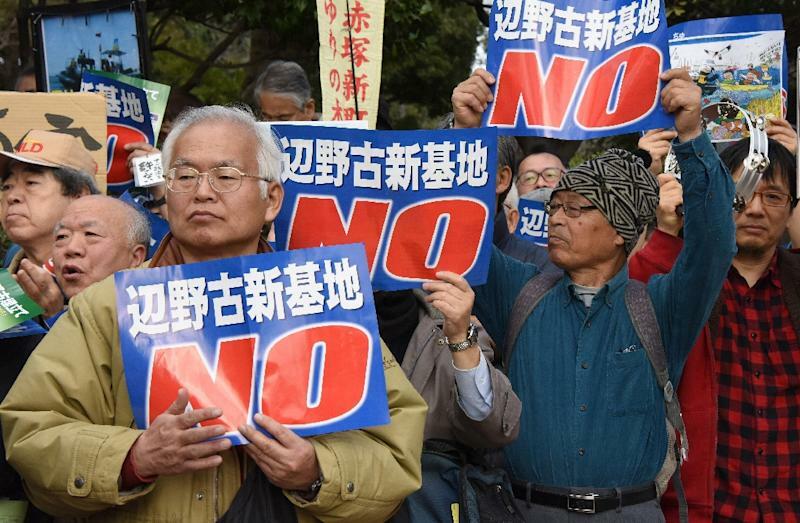 But Okinawa governor Takeshi Onaga and many island residents want a replacement for Futenma built outside Okinawa -- either elsewhere in Japan or overseas.